Caffeine-free energy boosting, mood-enhancing beverage throughout the day or after a relaxing massage. HIGHEST QUALITY & EXTREMELY AROMATIC-Use for Healthy Beverage, Tea, Coffee, Cocktail, Smoothie, Cookies, Snack and you can use as an ingredient for soap or shampoo. FULL OF BENEFITS - Antioxidants, Relaxing, Slow Ageing Process, Hair Treatments (use it in shampoo ingredients). Drink blue tea hot or cold. 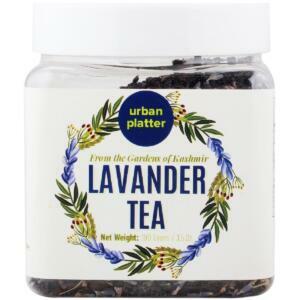 Add lime or lemon to change your tea into a brilliant purple, Add honey for sweetness. HIGHEST QUALITY & EXTREMELY AROMATIC-Use for Healthy Beverage, Tea, Coffee, Cocktail, Smoothies, Cookies, Snack and you can use as an ingredient for soap or shampoo. This tea can also be made cold by adding ice, turning it into a delightful summer drink.